In 1134, Alfonso I of Aragón died, without heirs to his body. Regular readers of this blog may remember Alfonso from a previous post about Queen Urraca—or you may not, seeing as Iberian history is infested with kings named Alfonso and it is quite difficult to keep track of all of them. Anyway: Alfonso’s marriage to Urraca was a major disaster, and even worse, there were no children from this union. As Alfonso was a very martial king (and, by all accounts, also very devout, even if this did not stop him from brutalizing his wife), he found a solution to the no-heir issue by writing a will in which he bequeathed his kingdom to the Knights Templars, the Hospitallers and the Knights of the Holy Sepulchre. Let’s just say that not one single Aragonese baron was about to accept this will. They wanted a king, not a conglomerate of military orders ruling their country. However, there really was no heir. Unless… Like one, the barons fixed their eyes on Ramiro, the Bishop of Roda. I have previously written a number of blogs about medieval women who have been abducted and carried off from their chosen life. Ramiro is their male equivalent, albeit that no one swept him up by force and galloped off into the night. He was the much younger brother of Alfonso. He had never aspired to a secular life and had spent his life serving God, either as a monk, abbot or, lately, as a bishop. Now, the expectations were that he would set all that aside and instead wrap himself in ermine and royal purple. “You do.” The Aragonese magnates then went on to explain just what they expected Ramiro to do: first of all, he was to cast off his vows and his bishop’s robes and instead become their king. Then he had to father a legitimate child. “But…” Ramiro likely began, intending to continue by reminding them that the vows he’d made to God were binding unto death. To do as they asked would be to commit a grievous sin. Well, the barons had already considered this: so important was Ramiro’s duty to Aragón that God would allow him a hiatus from his vows. I imagine Ramiro spent a number of sleepless nights on his knees praying for guidance before he reluctantly accepted his new responsibilities. He owed it to his country. Once crowned Ramiro proved himself a rather forceful king—to the surprise of his barons who had hoped for an easily managed king. Those barons who did not pledge him their allegiance were in for quite a surprise, as this mild religious man had quite the devious side to him – or so one must presume if one believes the story about the Bell of Huesca. The story first appeared in the 13th century, a good century or so after the events depicted, and according to it, Ramiro was having problems controlling his barons, specifically twelve of them who constantly treated him with disrespect. Ramiro was unaccustomed to dealing with worldly, ambitious men so in desperation he sent to his former abbot for help. The messenger found the abbot in his garden. He listened to the king’s message, nodded, and then proceeded to cut off the heads of the twelve roses that grew the tallest in his garden as his response. Not the most subtle of hints, I’d say. Ramiro obviously cottoned on fast. He invited all his barons to attend him in Huesca and there to join him in the making of a church bell, so huge it would be heard all over Aragón. Curious about this new contraption, the barons came, no doubt snickering under their breath at their king’s idiotic project. As they travelled from all over the place, they did not come en masse, but arrived one by one. 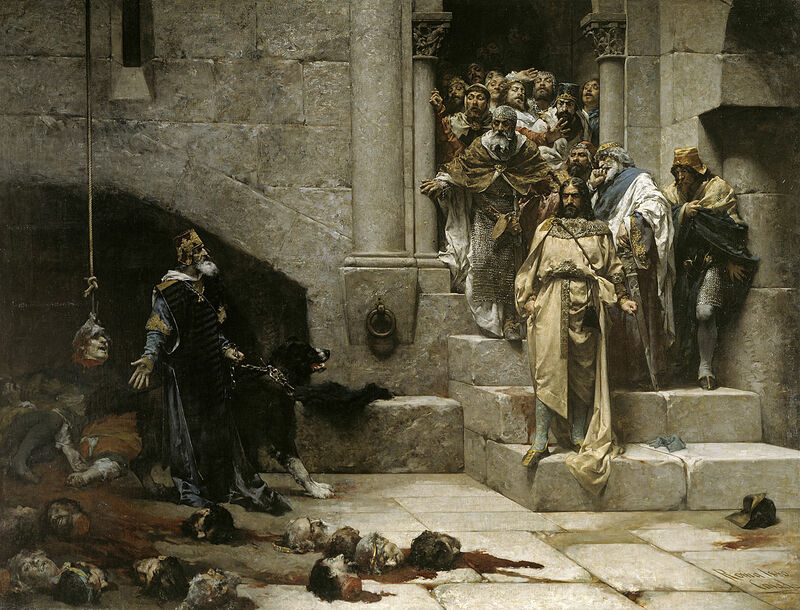 Those twelve stubborn and disloyal barons had their very own welcoming committee waiting for them, and before they could even say “Qué?” their heads were chopped off and arranged in a neat circle round the new bell. Well, one of their heads did not join the circle: it was used as the clapper. Once the whole grisly tableau was ready for viewing, Ramiro assembled all the other barons. The bell tolled (sort of). The king announced that behold, as he’d promised, the bell could be heard by all Aragón as represented by the various barons. Agnes was about Ramiro’s age, around thirty. A bit long in the tooth, one would have thought, but Agnes had one major thing in her favour: she’d given her first husband sons. It was therefore expected she would present Ramiro with a squalling male babe as well. But prior to making babies, the former monk had to marry, and while canonical law might not have had a huge problem with a bishop becoming king, it definitely had major issues with accepting the marriage of a monk-turned-king as legitimate. We have no idea what Agnes may have thought when she married Ramiro in November of 1135. But whatever their feelings, the newlyweds got their acts together (Close your eyes and think of Aragón, echoed in Ramiro’s head. Nah…) and nine months later, little Petronila was born. A child born for a purpose, not out of any warmer feelings. “Thank God! A healthy child!” Ramiro exclaimed, eager to return to his religious life now that he’d done what was expected of him. “It’s a girl!” bleated his counsellors. Agnes was about as keen on this marriage as Ramiro, and very soon after the birth of Petronila the royal couple separated. Some years later, Agnes retired to the Abbey of Fontevraud where she lived for a further twenty years or so before dying in 1159. Ramiro couldn’t just drop everything and take himself off to a monastery. 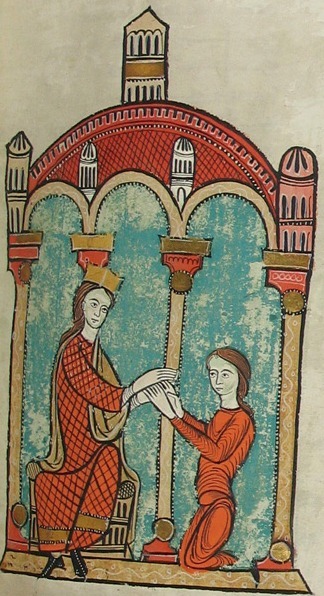 His little daughter had to be betrothed to someone his barons would accept and who would be capable of acting as regent for Aragón during Petronila’s minority. Alfonso VII of Castile and León wanted nothing so much as to get his hands on the little girl, so he suggested his eldest son as a possible groom. Anathema to the Aragonese who had no desire to be gobbled up by the expanding Castilian kingdom. Fortunately, there was an alternative. To the south-east of Aragón lay the domains of Ramon Berenguer IV, count of Barcelona and one of the more powerful movers and shakers in a region that encompassed not only present-day Catalunya but also a substantial chunk of Provence. A capable and energetic man, Ramón was already a respected warrior and known to be both erudite and devout. He was also all of twenty-three and, one supposes, eager to start a family and father heirs to his lands. However, Ramón was also ambitious. So when Ramiro approached him and suggested a union between their two countries, solidified by the betrothal of Ramón to baby Petronila, Ramón said yes. 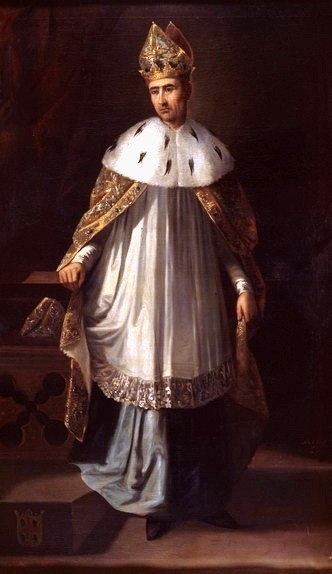 Admittedly, Ramiro was dangling quite the sweet offer before the young man: not only was he to marry the heiress to Aragón, thereby ensuring his son became the next king of Aragón, but Ramiro was putting Ramón in charge ASAP. After all, Ramiro had other places to see, notably the monastery of San Pedro el Viejo de Huesca. In 1137, the contracts were signed whereby Ramón became regent on behalf of his future little wife. With a huge sigh of relief, Ramiro hastened off to begin doing penance for his carnal sins, leaving Ramón to carry the baby in more senses than one. By all accounts, Ramón did an excellent job of caring for the baby. This product of a loveless marriage was fortunate in her father’s choice for her husband. Petronila grew up cosseted and protected at Ramón’s court, fully aware of the fact that as soon as she came of age, she was to wed the man who more or less raised her. Aragón thrived under his leadership, and by the time wedding bells rang for Ramón and Petronila, no one disputed Ramón’s right to rule on behalf of his fourteen-year-old wife. He did, however, respect the niceties: Petronila was Queen of Aragón while Ramón held the title of Prince of Aragón. 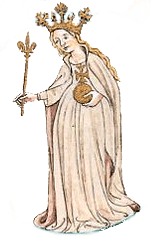 Petronila gave her husband five children of which four survived to adulthood. Upon Ramón’s death in 1162, the twenty-six-year old widow abdicated in favour of her oldest surviving son, refused to consider a second marriage and went on to live a quiet life of contemplation. I guess she had it in her DNA, given her parents. From the perspective of doing his duty for blood and lineage, most medieval peeps would have felt Ramiro failed. His spiritual sacrifice produced a girl and everyone knew it was the male line that was important, that truly counted. When Petronila’s son ascended to the Aragonese throne, he brought with him a new dynasty, the house of Barcelona. 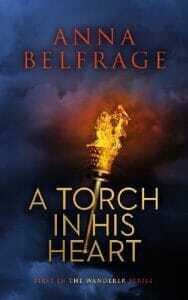 These stories have drama, tension and power struggles, and you tell the tale in an engaging manner. You raise interesting observations about inequality, politics and culture. Love the painting of the incident at Huesca. What a blood thirsty lot they all were back then. And Marys and Elizabeths in England!